The prophetic messages of Ezekiel in today’s and tomorrow’s chapter are part of a curious and mysterious niche of theological study known as eschatology, the study of prophecy and the end times. The vision and message in today’s chapter calls out a leader named “Gog” of the land of “Magog” from the “far north” who will gather a multi-national coalition of armies to march on Israel in a massive battle. Most scholars agree that these chapters parallel the vision of John (Revelation 16) who names the location of this gathering of kings for a final great battle: Armageddon. 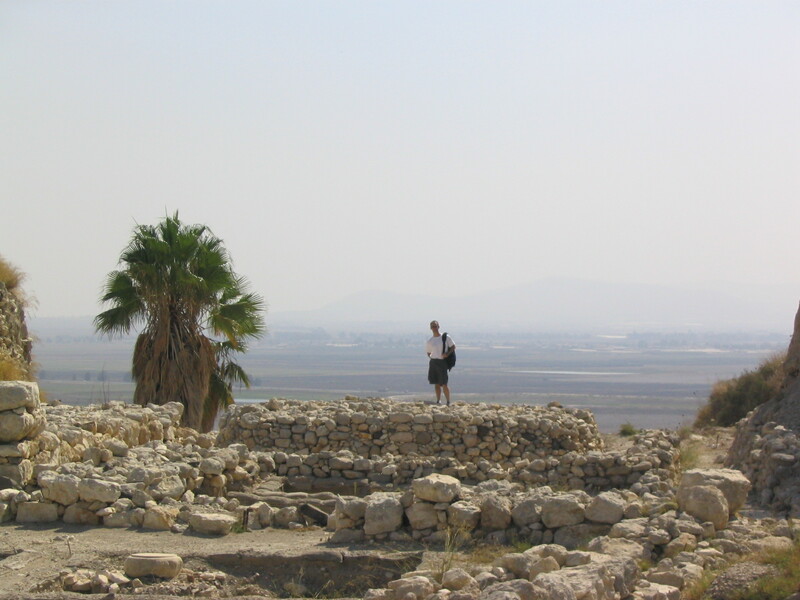 The valley of Armageddon near the ancient town of Megiddo is in northern Israel which is now the site of an on-going archaeological study and a tourist center. I had an opportunity to visit several years ago and that’s the valley of Armageddon behind me in the picture above. As fascinating as these prophetic matters are to ponder and discuss, I have come to a few conclusions about them along my journey. First, I have known many people who become so obsessed with these prophesies (it can be like solving a massive, unsolvable puzzle) that they get lost in it. I don’t quite see the point of getting so distracted by trying to understand these things that we ignore more important and current matters. Second, in any story the idea of foreshadowing is to hint at what is to come in the climactic chapters without giving it away. As author of the Great Story being told in history, I think God intended these foreshadowing prophesies to give us a hint of climactic events to come but never intended us to actually understand all of these matters with certainty. No author wants us to know the details of the climax until we actually get to that point of the story. Finally, I have come to believe that these foreshadowing prophetic messages are there to remind me that there is a bigger story being told in this life. When encountering the daily headlines and the ebb and flow of international events, I take solace in faith that things are being played out toward a prescribed chapter. We are not yet to that point of the story. And, I’m okay with that.